SCVHistory.com LW3332 | Rancho Camulos | Edwin Carewe's 'Ramona' (1928): 6 Spanish Pressbook Illustrations. Six lobby cards or (more likely) pressbook pages from Spain, advertising Edwin Carewe's 1928 screen adaptation of Helen Hunt Jackson's 1884 novel, "Ramona," whose fictional characters and settings were largely based on the Del Valle family and their Rancho Camulos at the western edge of the Santa Clarita Valley. Pages are 8.6x11.2 inches (22x28.5 cm). Artwork by R. Alson Brown (1878-1942), an illustrator and portrait painter from Ohio and New York. (From Artists in Ohio, 1787-1900: A Biographical Dictionary by Jeffrey Weidman): Born in Xenia (Greene County, Ohio), June 4, 1878. He studied in Cincinnati (Hamilton) under Vincent N. Nowottny and in Paris and New York City, where he settled permanently about 1897. He died in New York, August 25, 1942. The illustrations depict the story of Ramona (played by Dolores Del Rio) as she is courted by Felipe (Roland Drew) and then is thrown out of the house by the Señora Moreno (Vera Lewis) when she is besmitten by the Indian, Alessandro (Warner Baxter). The final illustration shows Ramona and Alessandro at the last happy moment they would have in the story. The film premiered March 28, 1928, in Los Angeles and was released in Europe in the fall of 1928 and spring of 1929. "Un film de Los Artistas Asociados" = "A United Artists Picture." 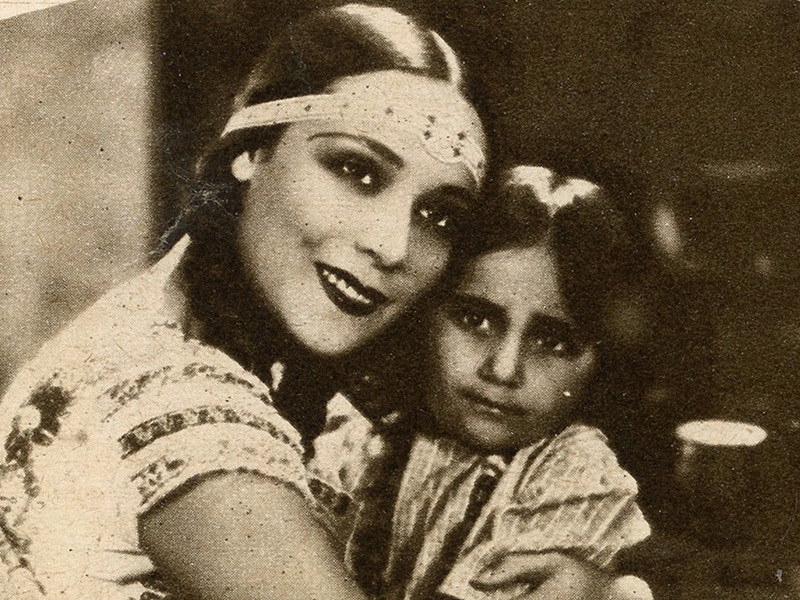 Carewe's "Ramona" was a "lost film" for several decades until a print was discovered in Prague in 2010. Read about it here. LW3332: Download individual pages here. Purchased 2018 by Leon Worden from a dealer in Barcelona.